This image of St George is the right portion of a fresco (or wall painting), which is 7 feet, 4 inches in height and 20 feet, 4 inches in width total. Pisanello, an Italian Renaissance artist, painted the fresco in 1437-1438 in a chapel in Verona. 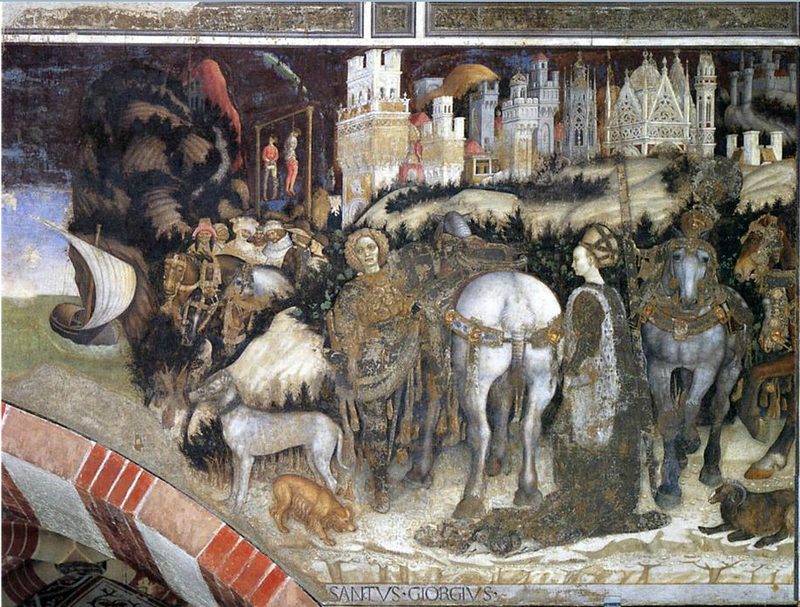 You can compare this painting to our earlier reading about St George in the Medieval Sourcebook.